Join in all the fun with our safe, stylish, and eco-friendly kids furniture and accessories. A fresh and sophisticated interpretation on New Traditional coastal style. Whether redecorating or renovating, our licensed interior designers are here to help. Traditional silhouettes and refined, luxe details come together with clean lines and casual, elegant comfort. Inspirited by the hillsides of Provence, shabby chic furniture and rustic patinas charm within a neutral palette. Natural materials, cool tones, and understated details celebrate utility and function in this city chic style. Neo-classical lines, rich textures, luscious curves and opulent finishes pervade this Golden Age inspired style. Mountain majesty is brought home with organic materials, rich cozy fabrics, and decor inspired by the outdoors. Casual contemporary furniture, seaside inspired accents, and ocean hues bring your home relaxed sophistication. Inspired by the 1950s and 60s, this style embraces saturated colors, geometric shapes, and landmark silhouettes. Treasures from world travels, bold patterns and prints, and an eclectic eye put this global style into perspective. Our accredited licensed interior designers are here to bring your design ideas to life and visualize your home with photo-realistic 3D renders in color. See our furniture in your space, all before you buy! Refresh your living room with a coffee table made to impress. Our vast selection of silhouettes and dedication to details guarantees an exceptional find for an exceptional home. Shop our most loved image on Instagram! 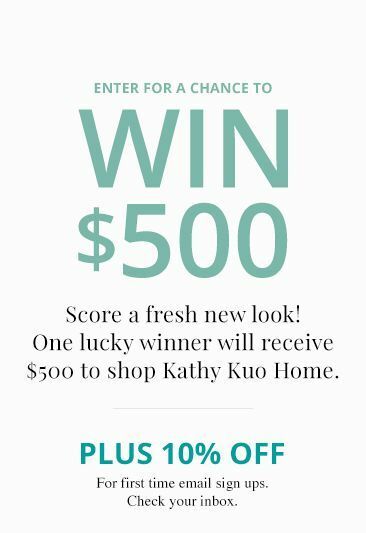 Here at Kathy Kuo Home, we source the best furniture and decor in a wide range of styles and price points so that it's easy for you to shop, no matter your budget. 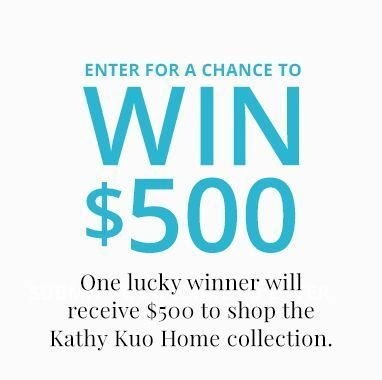 And I personally vet every item you'll discover here to ensure it's made from durable, sustainable materials by manufacturers we love and trust. On top of our impeccably designed furniture, I'm proud to have built a world-class customer service team that's here to help you with all your questions and product needs. We're here to help you create a home you love. I hope you stay awhile and have a look around! Shop these weather resistant favorites that boast both style and comfort. From frame finish to color palette, explore our furniture collections for items that pair perfectly for an easy one-stop shopping experience. Fall in love with your complete set and shop with ease. are you a designer or architect? start saving now. French Country decor, French Country furniture, industrial furniture, industrial lighting, regency furniture, shabby chic decor, beach style furniture... whatever your style, we've curated the perfect pieces for you in our online designer furniture boutique. Let us give you the tour. Get started in our French Country furniture collection. Find rustic furniture, French provincial dressers, country cottage coffee tables, rustic mirrors, and other French provincial furniture for your country cottage home. Then, visit our industrial furniture collection perfect for your urban loft. You'll find a modern look full of vintage industrial furniture, industrial lighting, and rustic industrial decor fit for the city chic designer. 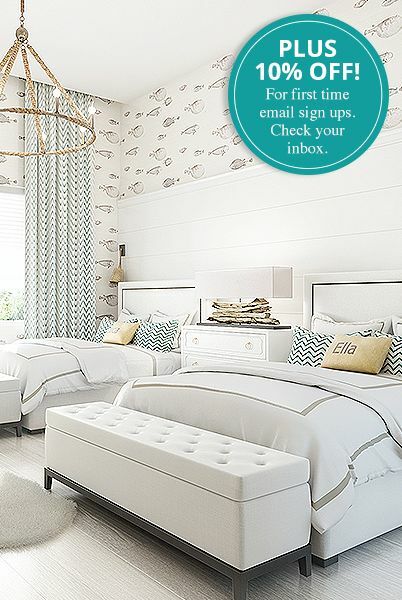 Next, explore our coastal collection if you're looking for shabby chic home decor, beach style furniture, and white washed furniture that gives you that resort living feel. We could go on, but we'll let you see for yourself the diverse inventory. (We didn't even mention our eclectic global furniture, removable wallpaper, mirrored furniture, modern home accessories... by now you get the point.) The best part? We are the experts and offer all of our interior design resources and curated collections at the very best prices with the very best customer service. Just call us and see! We'd love to hear from you.